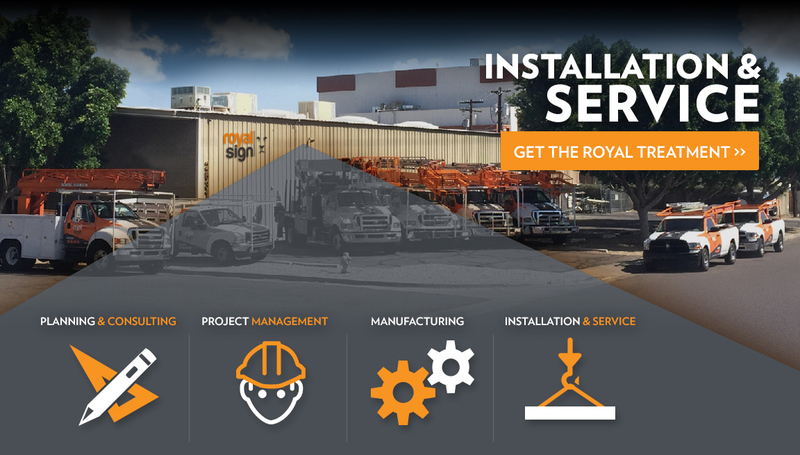 Our installation fleet is one of the largest in Arizona, our installation team is the best there is, and all of our installation work is done right. No shortcuts. Most vendors charge about the same hourly rate for service calls. What you end up paying boils down to the quality of your technician and how quickly he can diagnose and resolve your service need. Our service rates are lower, because our service technicians are the best at what they do. You have better things to do than to try and find reliable service technicians all around the country. Fortunately, you only need to call one. Let us take the hassle out of managing your national signage inventory with our network of tried and tested local technicians wherever you need us.